Have You Ever Met a Very Shy Celebrity? | Watch the stars. They're off the charts! Sometimes, fame and fortune can get to a person’s head that they start abandoning their humanity in search of something that will quench the unending thirst for it. What these people don’t realize is that the empty feeling they have even after bagging numerous awards cannot be filled by money or other material things— it needs a taste of human affection. This is something that several celebrities who, interestingly admitted to being shy or introverted, have decided to use their wealth and influence to make the world a better place. Known as the Latina actress with a knack for comedy, drama, suspense, and everything in between, Salma Hayek-Pinault admitted that she suffers from stage fright. Considering her extensive background in acting, it comes as a surprise that the gorgeous 52-year-old star has trouble standing in front of huge crowds. Despite this, Hayek-Pinault doesn’t shy away from helping others. In fact, she is among those in the frontline when it was time to raise awareness about gender inequality all over the world. One of her notable accolades is receiving the Danny Kaye Humanitarian Award from UNICEF for her contributions in raising over $700,000 for the victims of the devastating earthquake in Mexico in September 2017. Famous for his eccentric characters on the big screen, Johnny Depp admitted that he lives “like a fugitive” and would prefer to observe and not be the one being observed. Despite this, he had been the center of attention due to his support for numerous charities, including British organization War Child and the Children’s Hospital Los Angeles. He was also applauded for his annual donation to Great Ormond Street Hospital where his daughter was treated in 2007 for kidney failure. As an American Idol alum, Jessica Simpson’s talents were tested on stage before she got to where she is. This was incredibly challenging considering that she considers herself quite the timid person. Even so, she believes that it is in her fate to share her talent with the world. She even went above-and-beyond to use her gift to better the world by being one of Operation Smile’s international youth ambassadors. When she joined the organization, she has already helped raise as much as $4 million from television news coverages. As a reality TV star, Kim Kardashian West’s life is broadcasted to the world. Even so, that doesn’t change the fact that she is someone “who’s too shy to dance in a nightclub.” Contrary to what people know, she is actually quite reserved and not loud at all. Still, she finds a way to make the world a better place by volunteering at the Children’s Hospital Los Angeles where she continually drops by to visit sick kids for several years now. In fact, she had already accumulated 7 years of volunteer work before the media even caught on to her doing it. She also donated quite a significant sum for the improvement of their facilities. Jessica Alba is an actress and a businesswoman, so it can be quite surprising to learn that she is very shy and doesn’t like to be the focus of attention. Still, she soldiers through the embarrassment to make quality movies as well as helping people find a better alternative to baby products that contain harsh chemicals. With her business partners, Alba was able to establish The Honest Company and dedicates its resources to developing eco-friendly and non-toxic products for babies. To top that off, her company also donates part of their revenue and products to charities like Clothes Off Our Back, Habitat for Humanity, SOS Children Villages, and Project HOME. 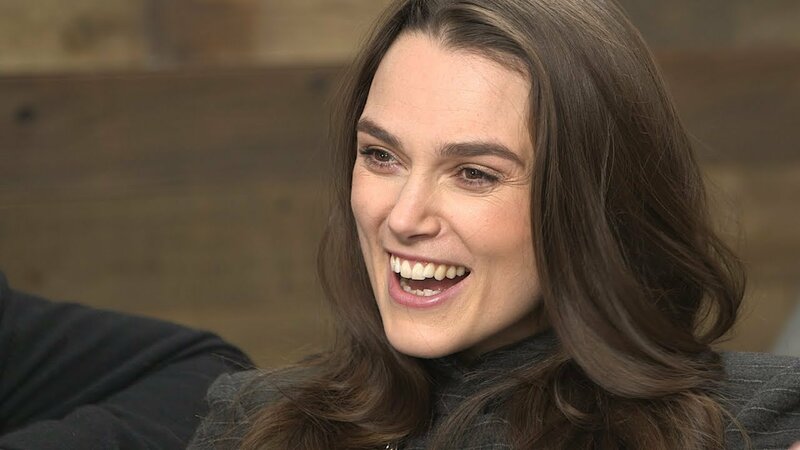 Known for starring alongside Johnny Depp in the Pirates of the Caribbean, Keira Knightley was very shy when she was still in her twenties. However, she had finally gotten over this and became the person she is now— someone who’s willing to go over borders to shed light on other people’s plight. To be more specific, the 33-year-old actress went to South Sudan to help raise awareness about the hellish condition displaced residents are suffering from. Taking a page from Angelina Jolie’s philanthropic acts, she decided to show the world how people in South Sudan are suffering. Although she may not look like it, Lady Gaga admits that she “just wants to keep to herself.” Her music, as liberating as it is for many, exudes how she struggled to get out of her shell and show the world her wonderful, colorful self despite the feeling of not fitting in. In fact, she also used her shyness to help teenagers who feel the same way by establishing the Born This Way Foundation, a non-profit organization aimed at educating people about mental health and promoting kindness all over the world. Confidence comes in many forms. In this situation, celebrities who admitted they aren’t as bold as they seem showed that fame, fortune, and influence can bear good fruits when used the right way.